So I curated (doesn’t that sound so much more important than planned?!) 90 percent of my family’s Thanksgiving dinner menu this year. The only thing I did not pick out was the Wild Rice Stuffing which my aunt made. And it was probably my favorite thing that was served that day. 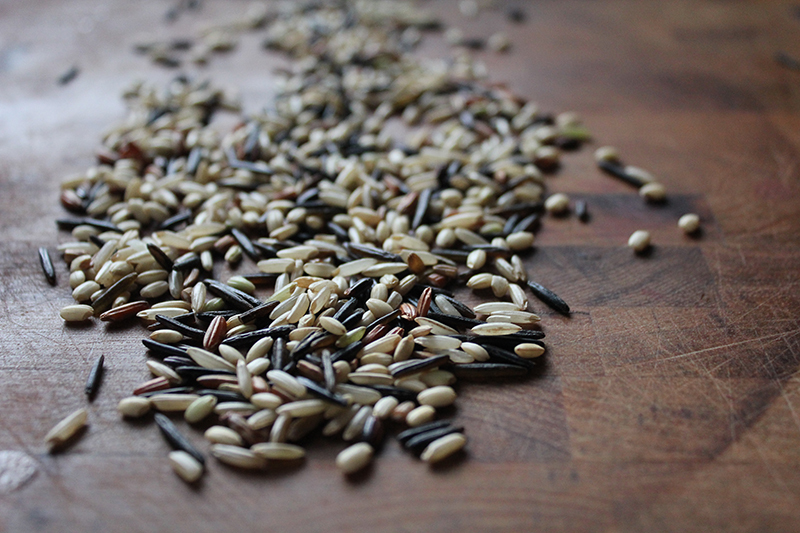 I don’t really have much experience with wild rice and I was blown away by the added texture it gave to the stuffing. 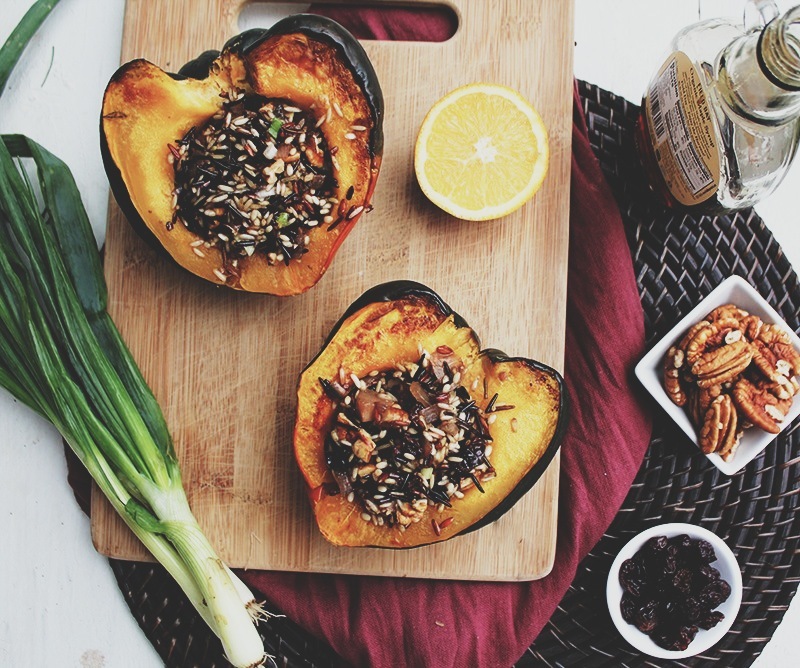 And so this experience made we realize I want more wild rice in my life which led to me making these stuffed squashes. 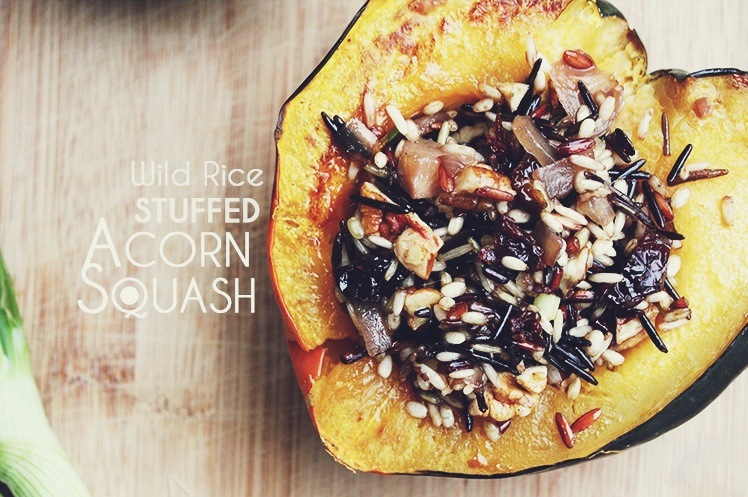 And let me tell you….this stuffed acorn were great but I probably ended up eating 50% of the wild rice mixture before I could even get around to sticking it in the acorns. It was chewy and savory and sweet (thanks to the maple syrup!) and oh so addicting. I’m already dreaming of quick winter salads that are really just a healthy (throw the term ‘salad’ at the end of anything and it becomes guilt-free) way to talking about this wild rice mixture! Anyhow, this is great as a side dish or even as a main vegetarian entree at your next dinner party (which, according to The Kitchn, are dead these days)! Preheat oven to 400 degrees. Grease a baking sheet and place squash cut side down. Cover the squash with tin foil and roast for 40 minutes or until cooked all the way through. In the meantime, prepare the inside. Heat oil over medium in a large saucepan. Add onions and saute until soft (about five minutes). Next, add in the garlic and cook for another minute. Add oregano, 1/2 teaspoon salt and pepper, wild rice, and vegetable stock and bring to a boil. Once boiling, reduce to a simmer and cook until all the stock has evaporated/ been absorbed (about 20 to 25 minutes). Remove from heat and fold in the pecans, scallions, cherries, maple syrup, and orange juice. Season with salt and pepper. 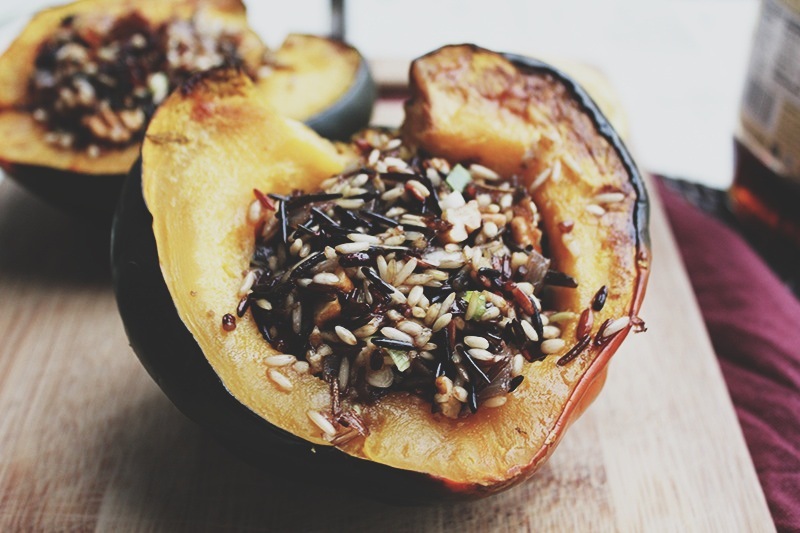 Once the acorn squash is finished cooking, stuff with the wild rice mixture and enjoy warm!